Travel Insurance offers insurance protection while you travel. Travel Insurance may be called by different names by insurance companies. It is important for you to check and understand whether the policy covers domestic travel or overseas travel or both. Travel Insurance protects you and/or family against travel related accidents, unexpected medical expenditure during travel, losses such as baggage loss, loss of passport etc and interruption or delays in flights or delayed arrival of baggage etc. You must read and understand what the policy you are considering exactly covers. Do ask you insurer and/or agent or broker questions to clear all your doubts and go through the terms and conditions of the cover thoroughly. Travel Insurance normally offers cover only during a specific period of travel. However, some insurance companies may offer various combinations of protection to cater to the specific needs of customers e.g., there could be a special policy for Corporate Frequent Travellers etc. The Scope of Cover and Benefits offered by different insurance companies would vary. You must shop around to ensure that you purchase a policy that you need. The following are covers that are generally provided under Travel Insurance- though the combination may vary. The list, however, is not exhaustive. Transportation of dead body etc. The Sum Insured offered may vary and so would the premium rates, which would depend on the country in question, apart from other factors such as Age, Period Of Travel etc. There could be some exclusions relating to personal effects. It is very important for you to understand what to do in case a claim situation arises abroad. Generally policies provide hotline numbers where intimation of claim/s should be given. You must also notify the concerned authorities involved eg, local police, embassy, transportation company etc, as applicable. The insurer also should be notified. Normally, every Travel Insurance policy docket will also contain a claim form as you will be away in a distant place and may not be in a position to obtain a claim form immediately. To obtain a visa for some countries, overseas Travel Insurance is compulsory. Even where it is not, it is prudent to obtain a Travel Insurance policy when you are travelling on business or holiday or for education, research etc as medical treatment costs in many countries are much higher than what they are in India and are unaffordable. You must check with your insurer regarding this as it would depend on the policy. Read your policy document and understand what it provides. Most policies, especially overseas Travel Insurance policies have a provision for one or even two extensions. Is there a minimum duration of period for purchase of Travel Insurance? Generally there will be a minimum stipulated period. Normally pricing of the policy goes by the “trip band” i.e., the number of days of travel involved and there would be a minimum trip band. Is a medical check -up required to purchase a Travel Insurance policy? ? You must check up with the insurer and/or the agent or broker about medical tests required and reports that are required to be submitted along with the duly filled in proposal form. Check up about the validity period of such reports as well—normally reports within three to four weeks prior to departure are required. Do I need prior approval of the insurance company before proceeding with medical treatment should the contingency arise? Please read the policy thoroughly and understand whether there are such requirements. Prior approval would be required in most cases though there could be exceptions depending on the emergency involved. Get this aspect clarified at the time of purchasing the policy. A Third Party Administrator is one who offers claims services on behalf of the insurer. In most cases, they offer cashless facility. You must confirm details from your insurer before you travel. Ensure that your policy document has all the contact details and other relevant information related to the services offered by the Third Party Administrator. 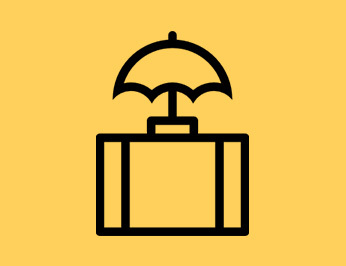 In case your travel doesn’t take off and you show proof of the same, policies would normally provide for premium refund subject to deductions towards administrative costs. Where travel is cut short, policies may or may not allow refund subject to certain conditions. You must read your document and understand whether there is such a provision and if so, how it operates. In most cases it would be. Normally, such policies are meant for travelers who visit other countries on business or holiday or education or other purposes and not for those residing permanently abroad.